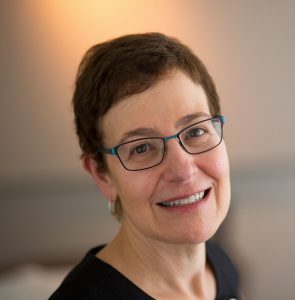 Ruth A. Karron, M.D., is a Professor of International Health in the Bloomberg School of Public Health with a joint appointment in the Department of Pediatrics in the School of Medicine, Johns Hopkins University. Dr. Karron is a pediatric infectious diseases physician, virologist, and vaccinologist, and is Director of the Center for Immunization Research and of the Johns Hopkins Vaccine Initiative in the School of Public Health. Dr. Karron has substantial experience in the evaluation of respiratory virus vaccines, including vaccines for seasonal and pandemic influenza, respiratory syncytial virus (RSV), and related respiratory viruses in adult and pediatric populations. Dr. Karron’s research interests also include the development of immune responses to respiratory viral infections in early life, the epidemiology of RSV and other respiratory viral diseases in low resource settings, and public policy and ethical issues related to vaccine development and distribution. She has served on a number of national and international vaccine advisory committees and panels, including the CDC Advisory Committee on Immunization Practices (ACIP), and the FDA Vaccine and Related Biological Products Advisory Committee (VRBPAC), which she chaired from 2006-2008. She is currently a member of the WHO Product Development for Vaccines Advisory Committee (PDVAC). Dr. Karron received the Robert M. Chanock Award for lifetime achievement in RSV research in 2016.